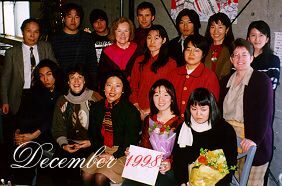 Note: This site is a description of the Heidelberg College Japan ESL Program from 1996 through March, 1999. Heidelberg College Japan is the Sapporo, Hokkaido branch of Heidelberg College in Tiffin, Ohio, U.S.A. It includes an ESL Program, courses for credit, and a Master of Arts program. The ESL Program prepares students for studying abroad.